I’d like to clarify some misconceptions about a Confidential Marriage License vs. a Public Marriage License. 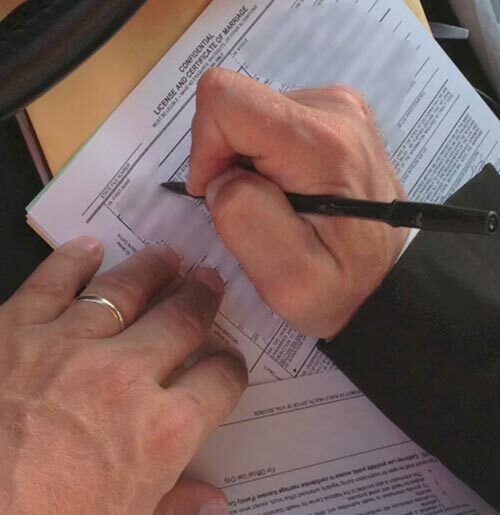 Many people I talk to think that the Confidential Marriage License is not a valid license, but that is not the case. The only thing that a Confidential Marriage License does it protect your marriage license information rom public view. As it is right now, ANYONE can view your personal information on a Public Marriage License and the county has the ability to sell that information to database companies. 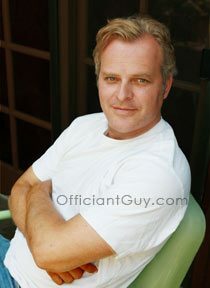 Officiant Guy can issue you a confidential LA County marriage license easily. Go to my marriage license page on my main website and view what information that someone would get a hold of if you apply for a Public Marriage License. I highly recommend a Confidential Marriage License because in this day and age of identity theft and telemarketing I believe it is very important to make your personal information as private as possible. Don’t you? I can issue a Confidential Marriage License to you if your wedding takes place in Los Angeles County and you attest that you live together as I am an authorized agent of the county and I can deliver that marriage license to you. Give me a call.